Classes for the Fall 2016 semester! 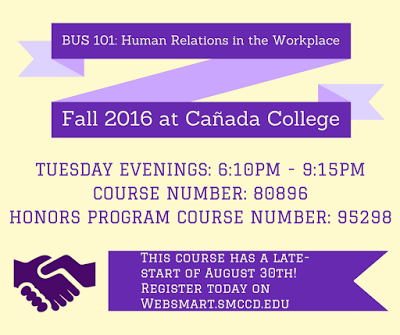 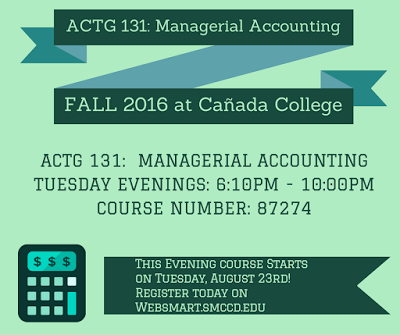 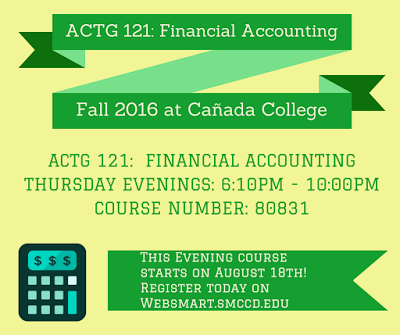 Fall 2016 is around the corner! 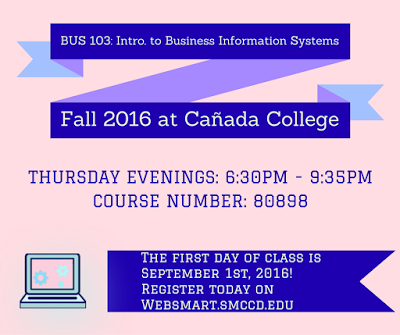 Here are some of our classes being offered next semester at Cañada College by the business and accounting department. Register today on Websmart before the semester starts!